we create a new universe. I make it, I don’t. Two musician-performers take us on a fantastical journey that links four characters in interconnecting tales across the multiverse, in a story that explores an existential conundrum of belief. Somewhere out there, has another version of you followed a better path? 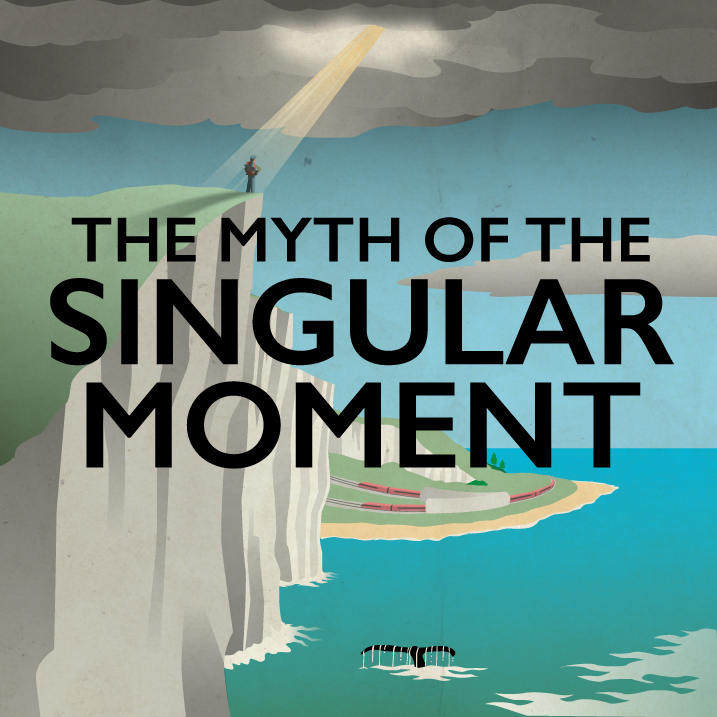 The Myth of the Singular Moment is all about the choices we make and those we don’t, the brief moments where multiple realities and futures coincide and then separate. Profound and personal, the piece combines the poignancy of contemporary folk and stomp of electronica to create an enthralling live soundtrack, evoking a story that straddles fantasy and reality. Your future is in an envelope; would you open it?